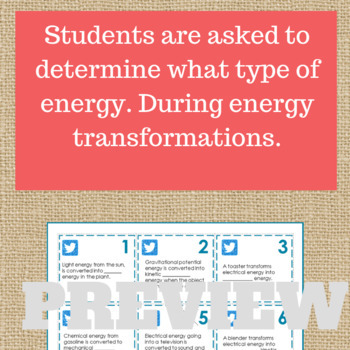 Need an energy transformations worksheet? Law of conservation of energy? Thermal transfer? This is an energy review activity for middle school or physical science courses that covers all of these topics. 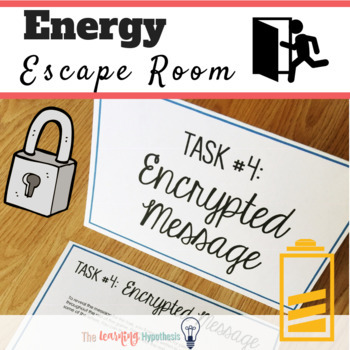 This escape room style energy review is a great way to get ready for an upcoming test. Includes editable task cards. Please look over the preview to see more information about set up and what is included. This is designed as a REVIEW activity and not a teaching unit. This is a 4 part escape room that can be adapted for your students into anything from seat work to a full blown escape room experience. Depending on your time and your classes. 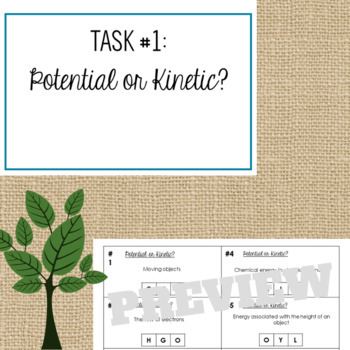 Students are asked to sort clues into one of two categories: potential or kinetic energy. Students are given a list of social media posts. They are asked to fill in the blank. The topic is energy transformation. 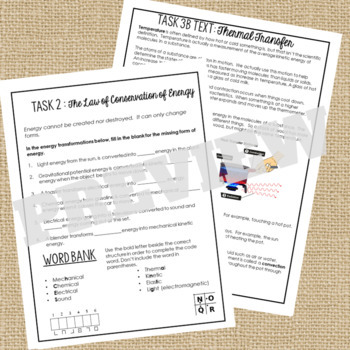 Alternative worksheet includes law of conservation of energy. Students are asked to use texts to answer questions about thermal energy and thermal transfer. Students use the answers in the previous tasks to break the code and solve the encrypted message. ⭐ Biodiversity Activity. A Mock Conference. Ecosystem Challenges.